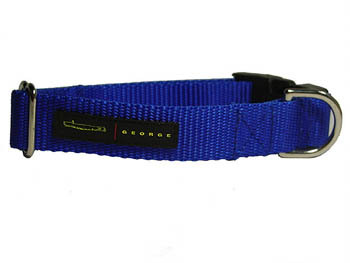 Nylon web collar with a rubber patch bearing the George stick logo snaps closed with a durable plastic fastener. Orange, red, olive, and black. Click here for matching lead.